A movie review is a type of academic paper, the purpose of which is to give the objective assessment to the specific motion picture in terms of its plot, acting performance, and filmmaking effects. As a result, the acquaintance with such report provides the readers with the overall impression about the film and determines their decision whether to watch it or not. In this light, the example of a movie review allows grasping the idea how to express personal opinions as the cinema expert. “The Professional” movie is expertly directed by Luc Besson, who is the famous star in the cinematic circles not only in France but all over the world. Though the relatively distant release of the film on the screen its popularity has not diminished due to the exceptional performance of Jean Reno and Natalie Portman. The former does a very good job as the hired killer, Leon, who undergoes the moral refinement after meeting with the main heroine, Mathilda. The latter, in turn, acts naturally as the teenager girl who is left alone in the cruel and dangerous world without parents and means for existence. The story unfolds in New York, which conveys the spirit of the mafia attacks and underlines the mixture of criminal and drama in the film genre. The plot revolves around the homicide of Mathilda’s family on the part of the local mafia formation, in which the young girl becomes the only survivor. Threatened by the chase of the wrongdoers, Mathilda knocks at the door of a neighbor, Leon, who appears to be her rescuer and safeguard further. Despite the huge difference in age, the heroes succeed in finding the common language and unite for the sake of revenge for Mathilda’s unjust and preliminary family loss. Their collaborative fight against the mafia creates the atmosphere of tension in the movie and stimulates the viewers to follow the plot’s development with careful attention and anticipation for the final resolution. The complex relationship between the main characters also arouses curiosity from the cinema-goers, who speculate on father-daughter, mentor-mentee or even love feeling among Leon and Mathilda. Apart from the unexpected plot twists, the specific emphasis should be made on the filmmaking peculiarities, which work for the better communication of the heroes’ emotions and their transmission to the audience. In particular, the low-key lighting is used to enhance the sense of suspense typical of the thriller related films. Moreover, the continuous background music and the change of the cinema angles also add much to intensify the established spirit. In addition, the costuming takes on a deeper meaning of the realism and up-to-dateness of the portrayed events. Here, the image of Leon is pointed out by the black glasses, which denotes that he prefers to hinder his emotions whereas Mathilda looks like a rebel due to the casual style. Overall, this movie can be characterized as the vivid example of the action-packed, balanced and gripping thriller, which takes the viewers’ attention from the very beginning till the very end. The special effects of the filmmaking design and the well-acted performance of Portman and Reno cannot leave the audience indifferent. Therefore, this film is definitely worth watching and can be recommended to the general public with the limitation to children owing to the violent scenes and the rude language. BBC. (2014). Writing for moving images. Web. 19 May 2016. Retrieved from http://www.bbc.co.uk/schools/gcsebitesize/english/creativewriting/movingimagesrev1.shtml. Besson, L. (Director), & Ledoux, P. (Producer). (1994). Léon: The Professional[Motion picture on DVD]. France: Gaumont Columbia Tristar. Cornelsen Verlag. (2007). Phrases for writing a film review. Web. 19 May 2016. Retrieved from http://uki.vdu.lt/wp-content/uploads/sinergija/EN/geografija/geografija2/useful-phrases-film-analysis-kv-cornelsen.pdf. Nichol, M. (2011). 7 tips for writing a film review. Daily Writing Tips. Web. 19 May 2016. 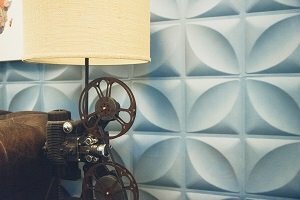 Retrieved from http://www.dailywritingtips.com/7-tips-for-writing-a-film-review/.